If you are carrying a credit card balance month to month, you need to pay especially close attention to the fine print. Many cards that lure in cardholders with appealing features and rewards programs also come with hefty interest rates and fees that can quickly balloon your balance. We've reviewed and rated cards that offer the lowest costs for cardholders, with a close eye on fees, rates and penalties. The BB&T Bright Card is a true low-APR card, which is great for someone with excellent credit who carries a balance from month to month. Few cards can beat the APR on the Golden 1 Platinum Rewards card, which also features very reasonable rates and fees, including an exceptionally low fee for late payments. However, if you are looking to transfer a balance or finance a new purchase, you may be better served by a card that offers a 0-percent introductory APR. 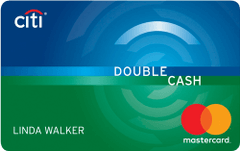 Though the Citi Double Cash card features a relatively low APR and a very long 0-percent introductory period for balance transfers, it lacks a 0-percent introductory APR for new purchases. With an ultralow interest rate and minimal fees, the BECU Visa credit card ranks high on our list of low interest rate cards. This plain vanilla credit card offers cardholders with the cleanest credit histories an appealingly low APR and a strong promotion on purchases and balance transfers. 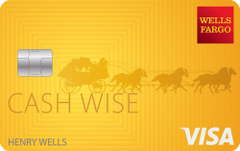 The Wells Fargo Cash Wise Visa Card can give you a good boost on financing a new purchase, thanks to its 12-month introductory period (then 16.24% – 28.24% variable) and generous cash-back bonus, but you can find cards with longer introductory periods and more reasonable APRs. With its low APR and brief 0 percent introductory period on balance transfers and new purchases, the Key2More Rewards card can help you save some money on interest, though you can find cards with much longer introductory periods and lower interest rates. The Citi Diamond Preferred card offers a lengthy introductory period for both balance transfers and new purchases, but its APR is high. This offer is no longer available on our site. For cardholders with excellent credit, the Synovus Cash Rewards Visa offers a very low interest rate, a 0-percent introductory period on balance transfers and new purchases and a decent cash back rewards program. While the BB&T Spectrum Cash Rewards card has a good 0 percent introductory offer, it’s regular APR is not the lowest you’ll find and not the best choice for cardholders who need to carry a balance. The Discover it Miles card can you help you cut costs thanks to its long 14-month introductory APR on new purchases and its low regular APR. 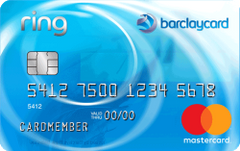 Though it is bested by cards that offer a combination of a low regular APR and a 0-percent introductory APR for new purchases, the Barclaycard Ring Mastercard stands apart for offering a set of unique, valuable features.